How did I decide on doing a Jane Austen theme you ask? Well, I enjoy doing trivia games. I have a lot of useless knowledge stored away, except for knowledge about Jane Austen. Every time a Jane Austen question is asked, I fail. Since my degree is in English, this is especially embarrassing. Jane Austen was a woman. Jane Austen wrote anonymously because she was a woman. Apparently, no one wanted to read books by women. Also, women could not sign legal contracts. Jane Austen never married. Marriage in England at the time was based more on money and social status. Her parents didn’t have either of those things so her choices were limited. She was probably wise to focus on her writing instead. 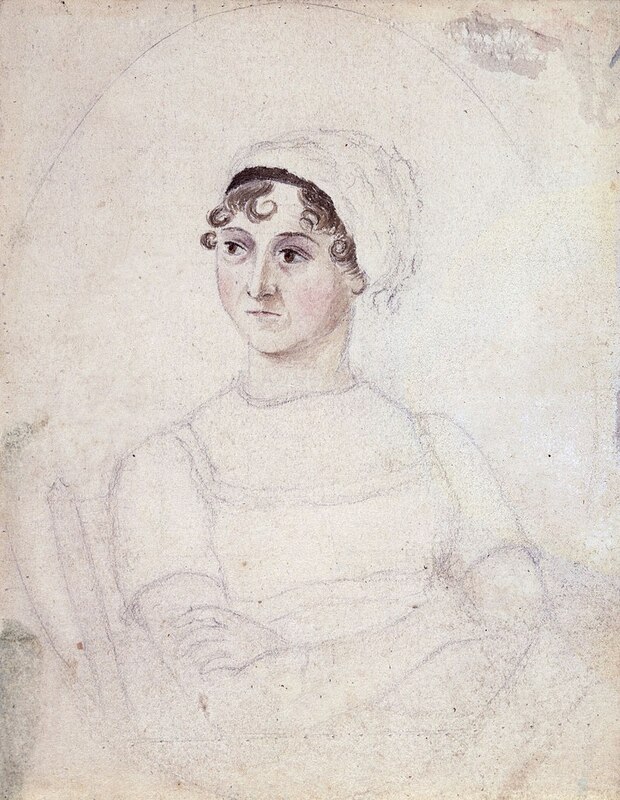 Jane Austen wrote seven novels plus some of her journals and poetry were published. Jane Austen had seven siblings. Six brothers and one sister. One novel for each sibling. Of course, there’s more to Jane Austen than facts for trivia. She was an interesting person who had her own convictions, not to mention a way with words. Jane Austen is one of my favourite authors.. Following this A to Z.
That’s a lot of siblings. But average for that time, I suppose. I’m reading a book called Longbourn right now by Jo Baker. She’s writing from the servants’ perspective who live and take care of the Bennet family of Pride and Prejudice. It’s amazingly good on all levels. I think you’d like it!